Law Web: Whether courts at India will have jurisdiction if arbitration proceeding is conducted outside India? Whether courts at India will have jurisdiction if arbitration proceeding is conducted outside India? award, were made in London and communicated to the parties. of arbitration to be London. London and the award was made there. 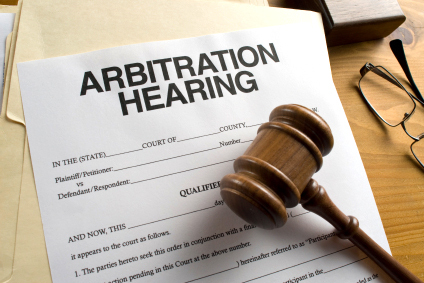 Section 34 of the Arbitration Act before the Bombay High Court. M/S E-CITY ENTERTAINMENT (I) Pvt. LTD. Petition (Lodging) No.525 of 2008.
final award dated 27.03.2008 was maintainable. which contains the said section. in India, and in this case, the Bombay High Court. damages/costs would be reserved for a future award. "The seat of this arbitration is London. of $9,406,148.31 was awarded to the appellant. by the respondent on 01.04.2008.
stated that the place of arbitration is London. Section 34 was maintainable before the Bombay High Court. the award would be maintainable. silent as to the place of the arbitration. Section 34 of the Act. construction of Clause 14 and the law governing such challenges. (ii) a provision of settling disputes by arbitration. arises between them concerning their rights, duties or liabilities. Arbitration must be construed as being read into this clause. provide that the arbitration shall be conducted by the court i.e. London as the seat of arbitration. governing the contract as a whole i.e. Singaporean Law. arbitration is agreed to be held. the arbitration is agreed to be held has primacy. Arbitration. The parties have not chosen the place of arbitration. of UK in all matters concerning arbitration. issue such as the choice of the place of arbitration. London was incorporated in the final partial award. purpose of exclusion of Part-I. chosen by the ICC and agreed to by the parties. agreed that the seat shall be in London for all practical purposes. held in London and thus Part-I of the Act should be excluded. In para 25 of National Thermal Power Corporation vs.
nevertheless a part of such contract”. relating thereto. In Bhatia International vs. Bulk Trading S.A.
implied, exclude all or any of its provisions. , Dozco India (P) Ltd. vs.
(supra) and Sakuma Exports Ltd. (supra), Union of India vs.
, Harmony Innovation Shipping Ltd.
solely to a geographical location. curial law of the relevant country. is one which they find attractive. challenges to the award etc, see Eitzen Bulk A/S (supra). 34. In the result the appeal is allowed as no order to costs.